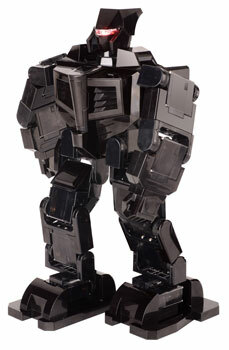 MechRC Humanoid Back in Stock! When we first announced that we had the MechRC Humanoid Robot is in stock and ready to ship, they flew off the shelves almost instantly selling out. We now have limited quantities back in stock and are shipping out immediately, just in time for the Holidays! These won’t last long, so if you’re still looking for a great robotic gift for a loved one or even yourself, pick one up quick! The New MechRC Humanoid Robot is here! Trossen Robotics is proud to be the first in the United States to offer the new MechRC Humanoid Robot! 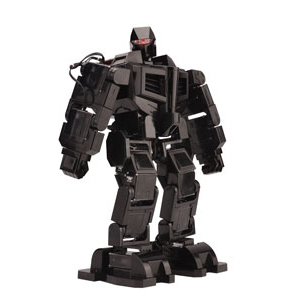 This new ready-to-walk robot is a breakthrough in price to performance at only $599.99 USD. High torque metal gear servos, LiPo batteries for longer run times, a fluid 3D visual software programming interface for easy custom motions, and a remote control unit are included. Everything needed to have your very own walking robot is included in this ready-to-walk kit! With over a hundred pre-installed motions and sounds you can get this robot throwing some dance floor shapes or some killer fighting moves straight from the box. Also check out the MechRC’s take on the Evolution of Dance!